How to Get Jio Rs. 50 off on Rs. 303 Coupon on Rs. 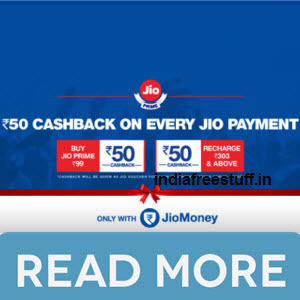 99 Recharge @ MyJio with JioMoney? Recharge your Jio with Rs. 99 or above recharge. Voucher will be updated in 2 working days on your Jio Money app.